Physical therapy, rehabilitation and corrective exercise has become painfully mundane and unexciting to both patients and practitioners. Even worse, the old school models of rehab have been producing lack luster results for far too long, leaving people more susceptible to future injuries. Corrective exercise and rehab needs to involve more than just Thera-bands and balance discs. As coaches and therapists, we also need to be teaching foundational skills that will last a lifetime. In this week’s guest article, Dr. James Spencer sheds some light on his unique, yet effective, unconventional training and rehabilitation methods that are expediting recovery time, while also increasing the excitement for training in the process. 1. The medical industrial complex has been largely ignoring the requisite for pristine functional movement as it pertains to successful rehabilitation and decreasing potential risks of re-injury after suffering an initial injury. 2. Unconventional Training (UT) methods have been around for thousands of years, but have just again began to gain popularity throughout the medical and fitness communities. 3. Safety, longevity and the mastery of correct movement patterns create the foundation of rehabilitating dysfunctional movement patterns that have the ability to decrease injury rates for a lifetime. 4. Tools like the Sandbag, Indian Clubs, Kettlebells and Steel Maces, just to name a few, are challenging the industry norm when it comes to rehabilitation. Implementing these tools into your training and rehab can be quick, easy, and effective! The Future of Movement Rehabilitation? 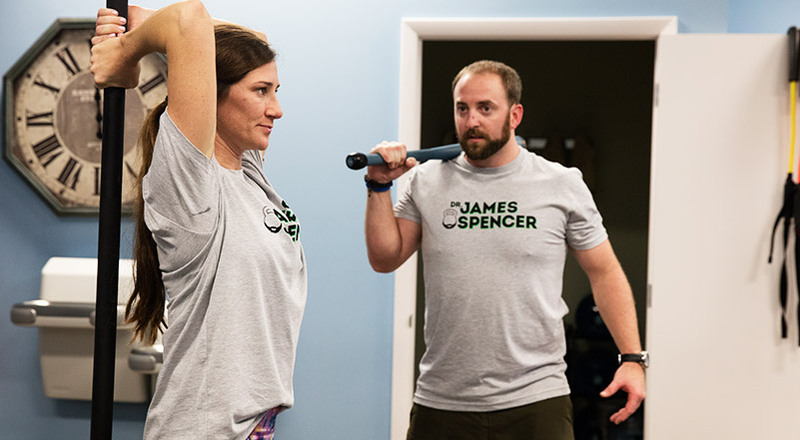 The method of Unconventional Training (UT) is the focus of my programming for patients and clients alike; I find it to be very safe and highly effective. Plus, swinging around clubs and bells looks pretty badass compared to the average resistance band program! Unconventional training allows the body to get into particular positions with safer leverage points providing an awesome tool for corrective exercise and rehabilitation. This methodology can be applied to corrective exercise, rehabilitation, training programs and life in general. Always keep in mind that MOVEment is Medicine, and you should live that saying every single day. Unconventional Training is a term that was coined by Mark de Grasse: “Rather than ‘attacking’ your fitness goals directly by focusing on aesthetics, Unconventional Training will help you achieve your goals through brutally effective and efficient means that target your weaknesses; they solve your problems by helping you gain real, lasting ‘victories’ in physical ability, including strength, conditioning, agility, balance, power, explosiveness, flexibility and mobility.” Couldn’t have said it better myself. Unconventional Training is a training method which utilizes multiple tools of historical origin. These tools provide quality load for movement pattern corrections, rehabilitation and many training programs. These tools are nothing new. In fact, many of them have been around for thousands of years. It has just been in recent time that we have largely forgotten about their unique properties and devastating effectiveness for enhancing movement and performance. Though training tools themselves can be exciting, no tool is as important as the system that defines how to use them most appropriately. The true beauty of the methods are celebrated within the system. Remember… It’s better to be Proactive and not Reactive! This means that if you move like garbage and feel like garbage, it’s best to account for your faulty movement patterns before a debilitating injury occurs. The reactive mindset has consumed our Western medical community for far too long, and therapy and rehabilitation are by no means an exception. The Functional Movement Screen (FMS) is a screen that exposes individual’s limitations, movement pattern dysfunctions, and asymmetries. These are all risk factors that could be potential causes of injury. This evaluation is a baseline for each individual person’s movement, similar to a blood pressure reading to symbolize our cardiovascular health. The benefits of the FMS includes a standardization which creates a baseline to mark progress; it quickly identifies dangerous movements and displays a client or patient’s readiness to perform particular exercises; it creates corrective strategies based off of the individual’s FMS score that are customized for each unique person. Many of these corrective strategies not only involve Unconventional Training, they embrace them as essential tools of the holistic healing and functional process as well. The FMS is designed for individuals that do not have any current complaint of pain or known musculoskeletal injury. If an individual has a complaint of pain during the FMS, I utilize the Selective Functional Movement Assessment (SFMA), which is the medical model of the Functional Movement Systems. Only licensed healthcare professionals with the ability to diagnose can administer this particular diagnostic test. The SFMA is a series of seven full body movement tests that address fundamental movement patterns with people of known musculoskeletal pathology or pain. It is designed to rank the quality of functional movements as well as to expose pain provocative movements. Each of these movements is specified for functionality and pain. Based on combinations of functional/dysfunctional and painful/non-painful for each test, the practitioner has the ability to chase faulty movement patterns down the rabbit hole in order to find the linchpin of pain and dysfunction. I am proud to use both the FMS and SFMA as foundations for my evaluation process. These tests are highly effective for both pre and post-testing to note tangible improvement of movement patterns. The ability to objectively see a positive change in mobility, function or performance by using the pre-post testing model is paramount in programming progressions and to keep moving forward in the rehabilitation process. I challenge any coach or practitioner to gain more objective data on movement in less time than by using these strategies. Though I have been using Unconventional Training tools and methods for over a decade, I recently attended Onnit Academy’s new certification course in these unique training implements and how to most effectively execute and program according to their core training beliefs. One thing stood out to me above all else in the course; the idea that movement progressions needed to fall into a static, fluid, then dynamic nature. What this continuum ultimately represents are individuals owning their own movement, and mastering these positions fully before transitioning into progressions with loaded implements. This is the polar opposite mentality that the average fitness or rehabilitation consumer has. Everyone wants progress yesterday. But in all actuality, progress needs to be earned with practice, patience and persistence. Onnit believes by “focusing on defining the end points of the movement it is much easier to identify and address any range of motion limitations that will interfere with performing the movement skill proficiently. It provides points of reference for how to stabilize from the transitional component into a moment of stillness at the end range of each repetition.” This style of practice allows me to teach clients and patient’s safe positions with and without load. When that client proves a mastery level of a position, the coaching process of turning bodyweight movement into loaded movement is a far easier transition, and one that usually happens naturally. Using new and innovative ideas from the FMS and Onnit, along with my own professional experience as a coach and sports performance chiropractor, it has become clear that there are three aspects of rehabilitation that need to be addressed with every single patient, no exceptions. In order to be successful in the rehab process, these are the three aspects of patient care that are mandatory above all else. When designing a rehabilitation program for a patient or training program for a client, I have always stuck to the #1 principle: Do no harm! I firmly believe that you have to earn the right to try new movements, and you need a quick screen or test to assess the safety of these movements and progressions. Incremental success will continue to improve over the course of time with each movement pattern. Use this incremental success to master the movement patterns and create better overall quality of movement. Just like any “typical” rehab exercise, there are regressions and progressions with all of these unconventional tools. The regressions and progressions are strategically positioned for each individual’s movement dysfunction, while focusing on the quality of these movements over the quantity of repetitions. When I work with an individual, I try to make a lasting impression on their movement map. I do this with proper progressions and challenging loads to question their nervous system and musculoskeletal system; this allows them to safely explore new ranges of motion and stability. It also provides a new imprint of movement on these fundamental motor patterns for long term benefits. Movement patterns are established during the developmental kinesiology stages of our youth. 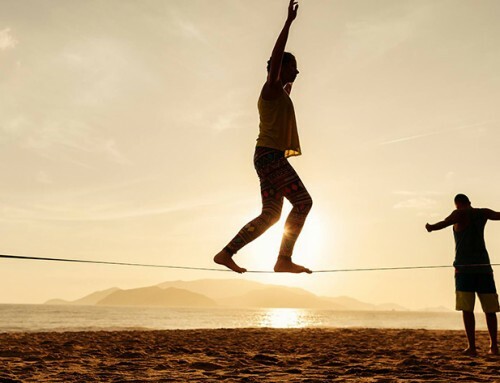 During the aging process as our body just “survives” day in and day out, we develop a “disconnect” with these movement patterns. Therefore, through the use of corrective exercises and proper training, we can re-establish these movement patterns to become more durable and resilient to injury. When it comes to corrective exercises and training, I’m a stickler for form. Corrective exercise needs to be correct above all else. If we allow form to get sloppy, we are sending aberrant or skewed information to the brain, which could only lead to further compensations or possible injury, along with wasting both you and your patient’s time; never a good thing. One of the greatest things about Unconventional Training is it’s diversity and myriad of exercise and movement options. Here’s a list of my top five favorite UT tools, along with video examples and coaching notes for the most effective movements using these tools. Don’t just watch- I challenge you all to give these a try! My use of the 2×4 for rehabilitation and corrective exercise is influenced by MovNat. I’ve found that barefoot training for sensory input to the feet helps drive glute activation and overall stability. There is very minimal coaching required and plenty of regressions and progressions. I personally love the use of the Sandbag to teach the hip hinge pattern; it allows clinicians to slowly and safely cue proper postural positions and start to introduce some load. This is great for overall spinal stability. Swings are the best dynamic loaded movement; it demands the body to quickly change directions with a loaded object. It requires a tremendous amount of posterior weight shift, spinal stability and glute activation. The Turkish Get Up (TGU) is probably one of the best overall full body corrective exercises for multiple movement dysfunctions. This exercise can be done with or without load and still be challenging; it provides different sensory input to the brain through dynamic movement patterns. I am by no means an expert when it comes to swinging Indian Clubs, but I do have an affinity for them because of their deep rooted history. Plus, I have tremendous amount of respect for Dr. Ed Thomas and his ability to swing the clubs. I utilize this tool when working on postural re-education and dynamic mobility and stability of the upper extremities. The Mace is a very cool and fun tool. Plus, everyone wants to try it out when they see it. When handling this unconventional tool, safety is very important. You need to be extra aware of your surroundings when handling the Mace. This tool is based off of a lever system, and is very challenging to multiple movement patterns because of its offsetting weight. I find it very beneficial to challenge overall full body static and dynamic stability. Just like Gray Cook says, “Consistency trumps Intensity.” If we can minimize the risk of an injury while increasing the reward of an exercise, then our patient or client will inevitably be successful for the long term. Consistency of these exercises will allow our clients or patients to be more successful and reach their goals. I use these systems for tangibility of change and improvement of movement patterns for my athletes, patients and clients. This article was more inspired to show people that other tools can be utilized safely for rehabilitation and corrective exercises. Moreover, I urge people to explore new tools, movements, and appreciate the process of learning. You will be amazed at how much you will improve your overall movement competencies. Remember, the quality of the movement is far more important than the quantity of repetitions or the amount of weight used. The implemented systems designed for longevity of athletic achievement is the focus, while safety should always guide programming for patients and clients. Don’t be closed minded; Unconventional Training is not only for corrective exercise and rehabilitation, but for lifelong health and wellness benefits. Enjoy your exploration into the new wave of training, rehabilitation and movement.